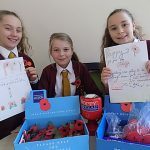 As you know, Remembrance Day takes place on 11th November every year and at St. Joseph’s Catholic Primary School we always mark this very special day by trying to raise some money as part of the National Poppy Appeal. 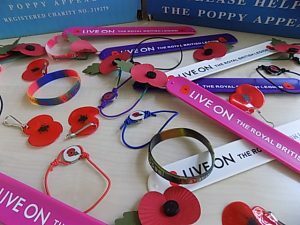 This year is no exception…and there are some fabulous poppy-themed ‘bits’ that the boys and girls can purchase from tomorrow as you can see on the photograph below. Of course, if the children want to donate more for an item, they are more than welcome to do so. 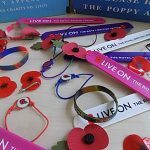 Thank you for your support of those people who have given their lives in so many wars/conflicts so that we may have our freedom. 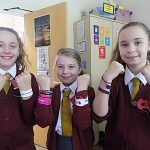 This entry was posted in Catholic Social Teaching, Fundraising Events, General News, School Chaplaincy Team, The Common Good. Bookmark the permalink.